Six very different people are involved in a fatal omnibus accident; which two were killed on this unluckiest of days is eventually revealed in a compelling blend of humour and pathos. A messenger girl and would-be entertainer's big break arrives when she stands in for a drag artiste stricken with laryngitis... and finds life can get very complicated for a girl impersonating a boy impersonating a girl! Throughout the 1930s Jessie Matthews was Britain's best-loved musical film star, her dynamism and gamine charm beguiling audiences on both sides of the Atlantic. With a string of box-office hits spotlighting her unique talent and charisma, it's easy to see how she became so popular and why she remains so to this day. Showcasing some of the era's finest cinema talent including director Victor Saville, writer Sidney Gilliat, and comedy star (and Matthews' husband) Sonnie Hale the two films on this volume are presented as transfers from the original film elements, in their as-exhibited theatrical aspect ratios. 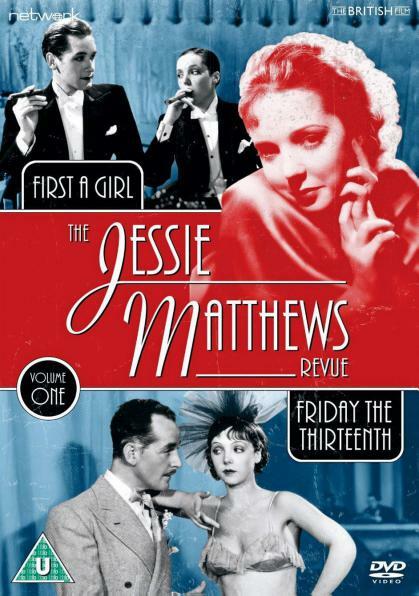 Featuring: Friday the Thirteenth (1933), First a Girl (1935).